Is the Family Law Navigator™ Program Right For Me? In the Family Law Navigator™ Program, you receive legal assistance when you plan to represent yourself in a family law case. 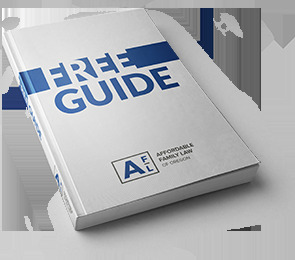 You receive one meeting with an attorney each month and will receive materials, checklists, and instructions that will help you complete your case from start to finish. A legal professional will also draft the required court documents that you will then submit to the court, and will provide community resources that are relevant to your case. Services in the Family Law Navigator™ Program do not include attorney representation at trial or at hearings, nor any correspondence with your opposing party. The Family Law Navigator™ Program is best if you are confident representing yourself in court and there is not a history of domestic violence with the opposing party. In the Family Law Navigator™ Program, you should feel confident filing documents yourself and following the directions.